I loved your discussion about girl gamers and the gaming community. I admit that I once rolled a male character in WOW and gave him a male name just so I would be left alone. It is very true that male gamers treat other male gamers much differently than female gamers. I kind of felt like I had infiltrated the secret male club because our text chatter was much different during randoms, and when I made mistakes, nobody criticized me. I instantly garnered respect and it was assumed that I had knowledge about the game simply because I was a male dwarf priest. I was treated differently, by far, even though I can’t put my finger on exactly what was different. I think gaming companies and console makers could do A LOT to cut back on the harassment girl gamers receive. If there were some sort of reporting system where girl gamers could forward the harassment, and then have Microsoft follow up and ban the gamer or give a warning, it would be a huge shift for the XBOX community. I really appreciate that companies like Blizzard take harassment seriously and give you an easy way to report it. Anyway, thanks for the podcast. You guys are awesome. 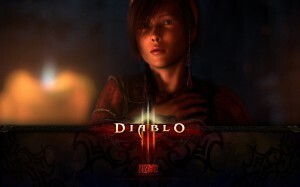 diablo three crafting seems under powered and over priced … especially at the end game. i have found that it is better to vendor loot and buy what i want from the auction house. thoughts?